Courtesy of WOWSA, Acapulco de Juárez Bay, Mexico. Acapulco Bay is a major sea port in the state of Guerrero on the Pacific coast of Mexico, 300 kilometers southwest from Mexico City. Acapulco is part of the Mexican Riviera along with Ensenada, Cabo San Lucas, Mazatlán, Manzanillo, and Puerto Vallarta where the tradition of open water swimming has long been celebrated. The renowned actor and Olympic swimmer Johnny Weissmuller loved Acapulco and visited often. His last Tarzan moved was filmed in Acapulco in 1948 (Tarzan and the Mermaids). 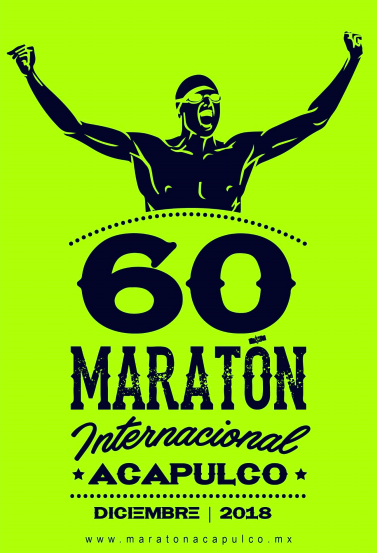 The two-race Maratón Internacional Acapulco holds its 60th edition in 2018 - a festive ocean swimming competition that Weissmuller would have loved. Part of the Global Swim Series, the 5 km Maratón Internacional Acapulco course stretches across Acapulco Bay on Sunday, December 9th. A shorter 1 km race is held on Saturday, December 8th so many athletes can participate on both days. Several standard age-group categories are offered in addition to race categories for disabled athletes (both S1 - S5 and S6 - S10), visually impaired athletes, deaf athletes, Special Olympics athletes, and those over the ages of 75 years. To celebrate the 60th anniversary, US$3,000 in cash prizes will be distributed. 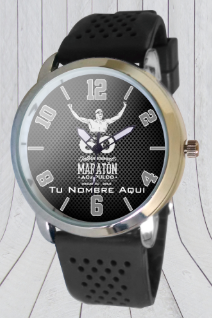 All kinds of uniquely branded products are also offered: towels, swimsuits (both male and female), and specialty wristwatch with the athlete's name inscribed on its face [shown above]. The event also honors the Virgin of Guadalupe, Queen of the Sea. For more information, visit www.maratonacapulco.mx.